Today’s article is the first in a new series called ‘From ideas to investments’ which takes an in-depth look at how to generate investment ideas from fundamental data and develop those ideas into profitable investments. We’ll be looking at the benefits and pitfalls of stock screening and subsequent steps in developing a unique style incorporating your own judgements about businesses and their prospects. Thinking up investment ideas is as simple as exposing yourself to useful information and making the right connections. Not all information is useful, though, and to discriminate, investors must take a view on how the stock market actually works. According to Scientific American, the original eureka story may not be true. Archimedes probably didn’t realise how to work out whether the tyrant Hiero’s gold wreath was debased with silver while lying in the public baths. As he sank into the water one day, he may have observed that the volume displaced was an exact measure of his volume, but it was unlikely to have ignited the idea that a given weight of gold would, therefore, be bulkier and displace more water when mixed with lighter silver. It turns out measuring displacement wasn’t the most accurate method of measuring the volume of light objects known at the time. The story is probably corrupted in the oldest source we have, written down about 200 years after it would have happened. The myth persists, though, because it rings true. We’ve all made connections that have sparked new ideas. If the resulting insight is to be useful, the information we connect must be relevant otherwise our judgment will be spurious, a truism that has gained an acronym in computer programming: Garbage In, Garbage Out (GIGO). In many ways, the practice of generating good investment ideas is as simple as exposing ourselves to useful information and making the right connections. Simple, maybe, but not easy because investors are bombarded by spurious information and inclined to jump to hasty conclusions. The notion that markets are not rational is an old one. Benjamin Graham is widely regarded as the father of value investing—a style he practiced as a fund manager—and advocated in lectures and books published from the 1920s to the 1960s and still in print today. He used the metaphor “Mr Market” to describe the stock market. The Mr Market metaphor has inspired the careers of countless business-focused investors and investment writers before me. Essentially it’s an exhortation to ignore market garbage, or more politely, speculative chatter and noise, and focus on the fundamentals. More recently, academics have gone further than metaphors, adding weight to Graham’s observation that the prices of shares, houses and commodities from corn to gold, so often deviate from reasonable estimations of their economic value. In 2013, Robert Shiller received a Nobel Prize in economics for work he did in the 1980s showing share prices fluctuate far more than dividends (a measure of the fundamental performance of a business). Shiller went on to describe how prices start rising for solid reasons, spurred by growing prosperity or new technology, for example, but after a while they develop their own momentum. Rising prices draw new traders to the market in the expectation of further rises, irrespective of the fundamental value of the shares they are trading. This tendency is amplified by the media (and, these days, social media) and stories of people, who on paper at least, have got rich quick even though they were probably just in the right place at the right time. Brokers and bankers, play a part too, because their fees depend on transactions, which they encourage by stoking the fire. While it’s difficult to prove these factors drive prices up and down further than they would otherwise go, they can at least be observed in well known bubbles. Another recent Nobel winner, Richard Thaler, showed in the late 1990s that the “irrational exuberance” described by Shiller does not last: shares that win over five year periods or more tend to lose over subsequent periods of the same length. Shiller describes how the vicious circle that drives prices up in the first place also operates in reverse when negative narratives take over, driving prices down below their fair value. Momentum persists in the short term, but does reverse in the long term. There is an alternative school of thought which has collected Nobel Prizes too. Its mathematical models show markets are efficient and if they accurately describe reality, they mean it’s impossible or at least very difficult to come to a better view than Mr Market’s. The most compelling evidence I have seen refuting efficient markets is from the great mathematician, Benoit Mandelbrot. He developed a new branch of mathematics, fractal geometry, partly because of his interest in corn prices. Facsimiles of price charts plotted using Mandelbrot’s equations look much more like real price charts than facsimiles based on the efficient markets hypothesis. My ‘O’ level in mathematics does not equip me to evaluate Mandelbrot’s equations or the efficient markets hypothesis but experience tells me that Graham, Shiller, Thaler and Mandelbrot, the heroes of my tale are right. Prices, as Mandelbrot once told me, are wild and not mild. It is both thrilling and rather daunting that the biggest brains in finance disagree on something so fundamental as what moves markets—the rational deliberations of people or the delusions of crowds. Eugene Fama, one of the efficient market luminaries, even shared the Nobel with Shiller in 2013. But there is no escaping the fact that if you do your own research and buy or sell shares, implicitly you are on Graham, Shiller, Thaler and Mandelbrot’s side of this great dispute – otherwise you should just bung the money you would invest in the stock market in a fund tracking the broadest index you can find and be done with it. If you can’t beat the market, you might as well invest in the closest approximation of it. I’ve rattled through the development of modern finance theory with a single purpose, which is to demonstrate that if you think markets are inefficient, then it follows that the information we receive from it is often spurious garbage. At best it is a distraction, and at worst it is dangerous, That leaves us with two options. The first is to surf the garbage and profit from price momentum, while it lasts. In finance circles the tendency of prices to continue in the same direction has an unofficial and rather more revealing name: “the Greater Fool theory”. The idea of momentum trading is to study past price movements looking for patterns and signals that tell you to pass your shares on to a greater fool. It’s a bit like pass the bomb, you don’t want to be left holding shares when Mr Market turns against them. I have never been inclined to learn the tools of this trade because it implies a slavish devotion to Mr Market. Instead of focusing on the business we own in Graham’s metaphor, all my attention would be on his offers, whether they were higher and lower than yesterday, and the day before, and whether that means they will be higher or lower tomorrow. The problem of whether a share price will go up or down does not really interest me, but working out whether businesses—the engines of a market economy—are healthy, managed well and successful does. That’s not just because these business should make me richer, incidentally. It’s also because in meeting their customers’ needs, employing people, and paying taxes, they will make us all richer. Instead of concerning ourselves with share prices, and the rumours and speculation that stoke Shiller’s vicious cycle, business-oriented investors decide for ourselves whether we own good investments and stick with them (unless Mr Market makes us a really silly offer). Graham would have marvelled at how easy it is to follow his advice today. Companies publish their annual reports on their websites, so we can be analysing them in minutes. The financial publishers of his day collected data from listed companies into vast printed tomes like Moody’s famous manuals to make it easier for investors to discover companies with the financial characteristics they desired. The modern day equivalents of the paper manuals have the same aim. They have, of course, evolved into sophisticated tools that do much more than lay the data out. 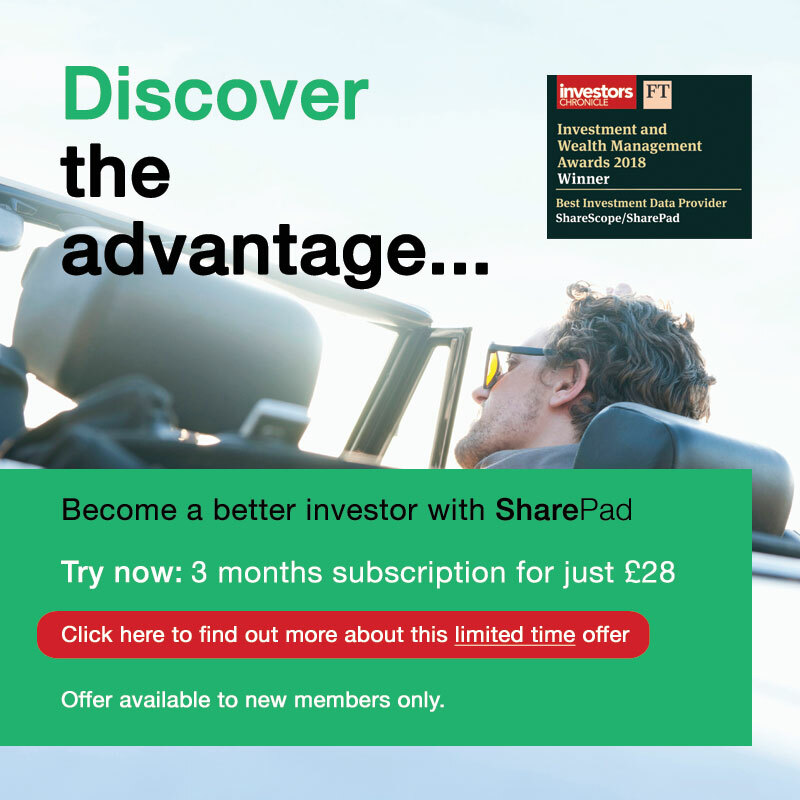 They are data troves like SharePad, and in forthcoming articles I will examine how SharePad can help us make connections and discover good investments. The great joy of starting with company data is that it is just data. We can draw our own conclusions about the financial strength and prospects of a business from it without being influenced by Mr Market’s manic mutterings.